There is nothing I like more than browsing supermarket shelves for new goodies to try whether it's a new recipe kit, some weird and wonderful veg or a new seasoning or spice. My latest find are the new John West Steam Pots - a complete meal in one convenient bundle! Normally I make a little extra when I'm cooking dinner so I can pack up a portion for lunch to take to work the following day but sometimes that dinner-making doesn't happen so have to resort to *cringe* whatever the canteen at work has to offer. So what are these steam pots all about? 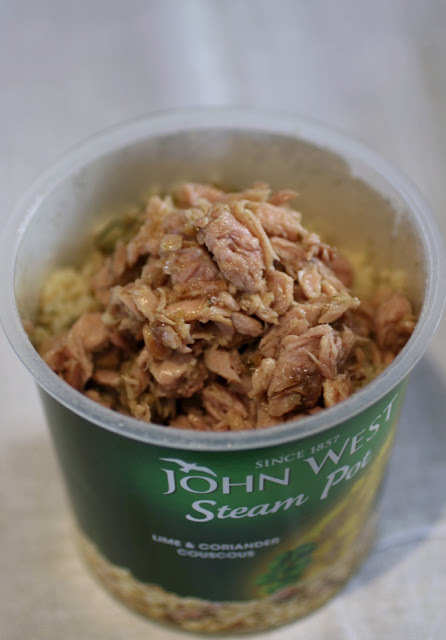 You get a pot of cous cous and a little tin of tuna so all you need to do is pour boiling water into the cous cous, put the lid on for a few minutes then fluff it up. 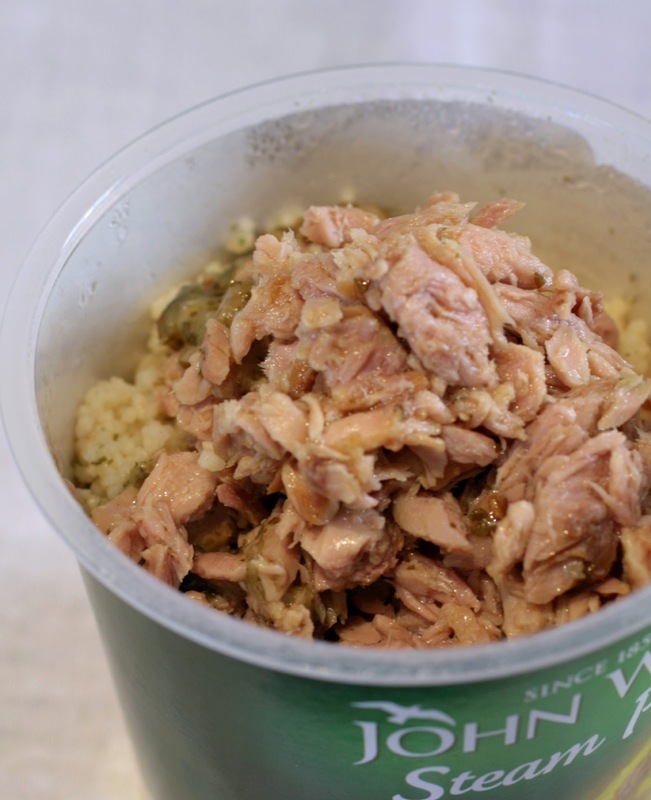 Add the tuna and lunch is served! Don't think that because it's so quick and easy it's dull - far from it! 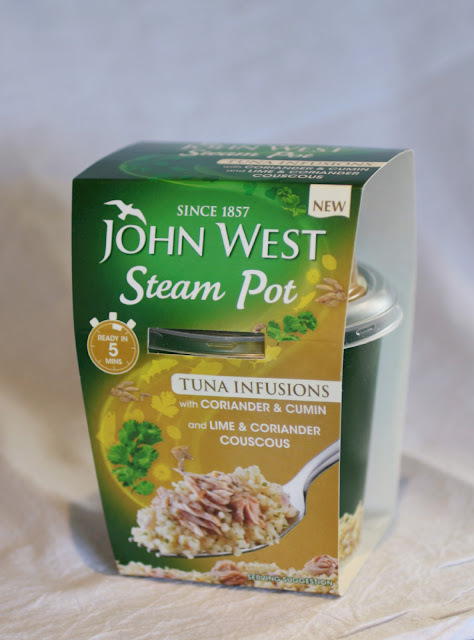 I saw four different flavour combinations in my local supermarket but the John West website shows six. 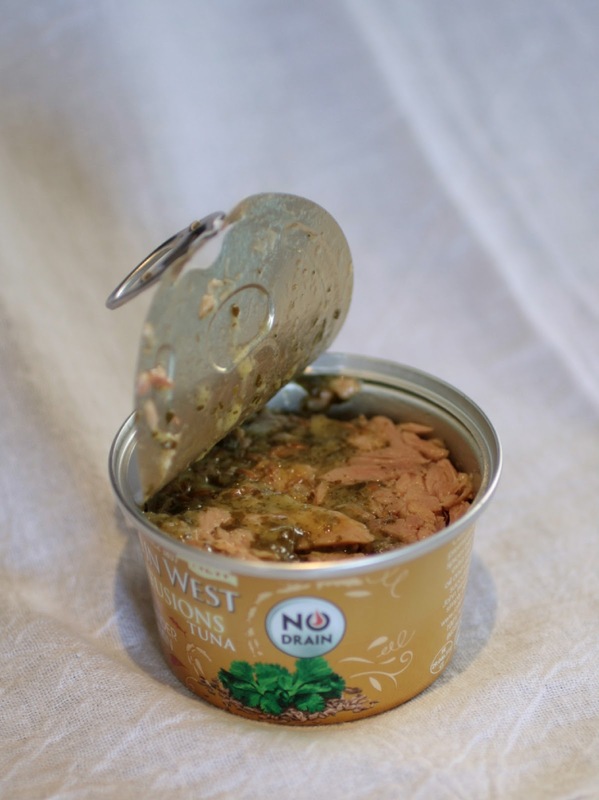 The tuna (no-drain, I might add!) 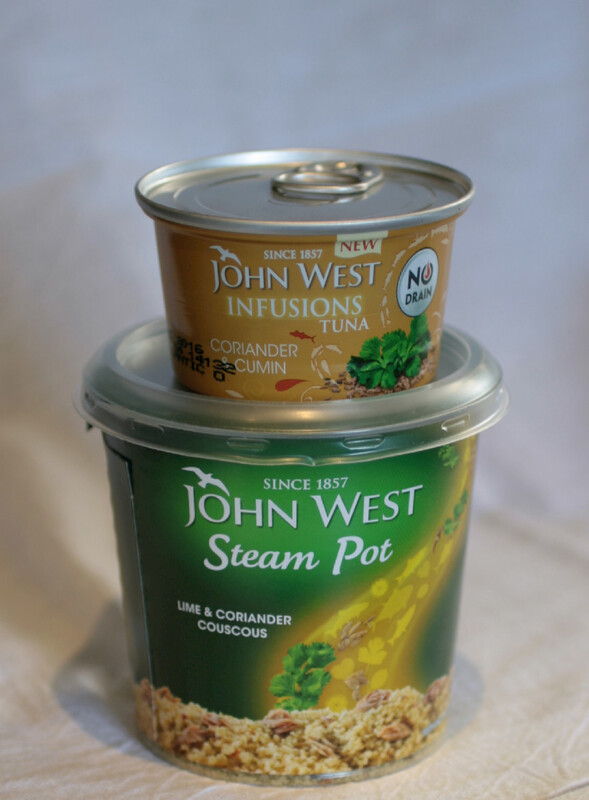 is infused with flavours that compliment the cous cous perfectly - soy & ginger with mushroom cous cous, coriander & cumin with lime and coriander cous cous, chilli and garlic with spicy red pepper cous cous…sounds delicious, right?! 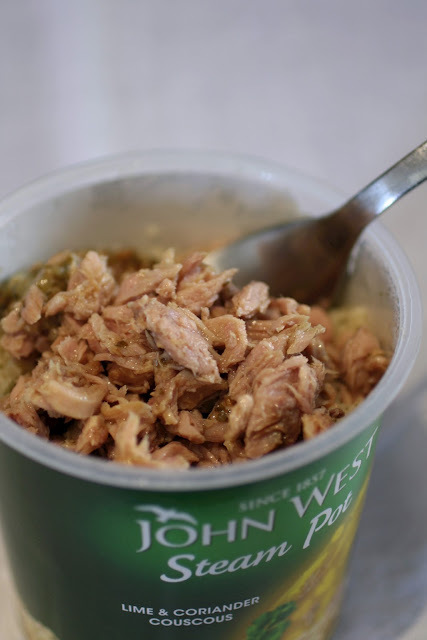 I'm slowly working my way through the flavours but my favourite by far is the coriander & cumin tuna with lime and coriander cous cous as it's quite light and fresh. My only gripe is that there is a little more salt per portion that I would like. Even though it doesn't look like much, I have found that the portion size is perfect and keeps me going until dinnertime.